Location: From Phelps, take County Hwy E north to Sugar Maple Road. Turn east on Sugar Maple Road and follow the signs to Afterglow Lake Resort. Park and check in at the Resort. 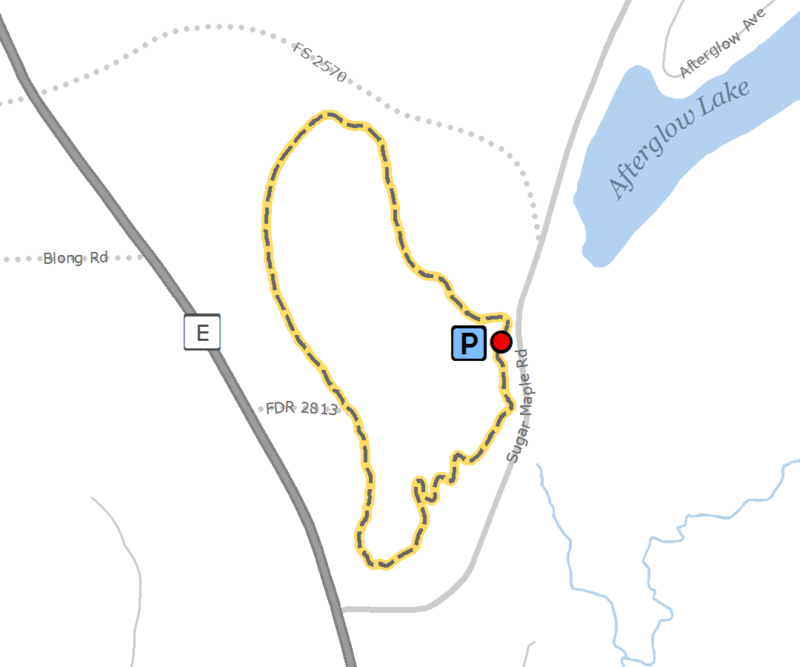 The Phelps Ski Trail, an expert level trail, is accessed via the Afterglow Lake Resort facilities and connects to the Afterglow Lake Resort Ski Trails which offer a variety of easy, intermediate and expert trails maintained by Afterglow Lake Resort using state-of-the-art grooming equipment. Afterglow has a telephone, restroom and warming room available for use by skiers and snowshoe enthusiasts. Trail fees apply. *Pets not allowed on groomed ski trails.